Details Carpet Care believes that a healthy home starts with clean carpets. Nothing cleans more thoroughly, or protects your investment better than the steam cleaning method, also known as hot water extraction. It is the preferred carpet cleaning method recommended by most carpet manufacturers, including Shaw Industries, the largest manufacturer of carpet in the world. Leftover carpet cleaning solutions can act as a magnet for dirt. That’s why I use a three-step carpet cleaning system which includes an essential extra step - a specially formulated pH-balancing fiber rinse that removes carpet cleaning solution residue right along with deep-down dirt. So all that’s left behind is cleaner, softer, more beautiful carpet. When you call Details Carpet Care, you will get the owner serving you this time and every time. Dirty Carpets Infested with Allergens Carpet flooring acts as a gigantic allergen filter. 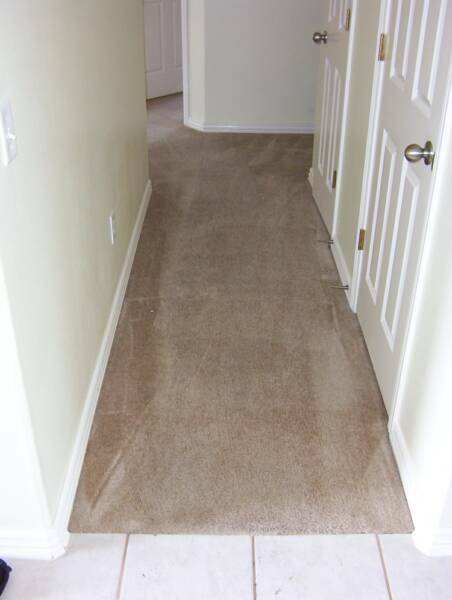 Carpets soft, fibrous structure causes it to collect dust mites, mold, fungus, and other allergens. For this reason, many people fear carpet flooring and replace it with hardwood to ease their allergies. Let’s cover why it is better for your health to actually stick with carpeting (assuming you have it cleaned properly) as opposed to hardwood. First, let's go back to the drawing board and give you a little allergy education. Dust mites are one of the most common allergens in the house. Dust mites live in fibrous materials. This means your carpet, upholstery, and bedding are the homes for these nuisances. Dust mites are a major cause of allergic reactions such as runny nose and sneezing, as well as a cause of asthma. Mold and fungus are also found in upholstery and carpet, especially in damp environments. Spores of the mold are inhaled through naturally breathing causing similar allergic and asthmatic reactions as dust mites. 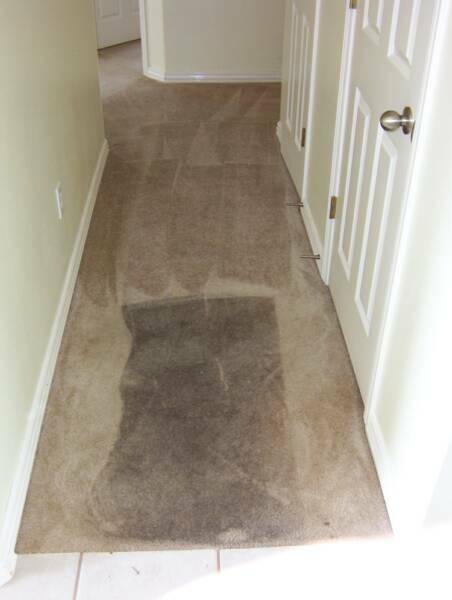 For mold, it is not only important to have your carpet professionally cleaned but also have carpet water extraction when flooding occurs. The discussed allergens are a few of the primary organisms plaguing your home and your health. It is important to note that there are hundreds of more allergens: two of the more well-known being pollen and animal allergies. What do these allergens have in common with the rest? They harbor in your carpet! Contrary to how it may sound, this is the beauty of carpet. It acts as a gigantic filter to trap allergens that would otherwise be circulating around your home. Now you see why hardwood flooring is not preferred for people with allergies. The EPA Says Carpet Cleaning Removes AllergensNow, the next logical question is how you empty this gigantic allergen filter, aka your carpet. The ball is in your hands and there are three options. You can attempt to be comfortable with the fact that allergy inducing organisms are calling your carpet and upholstery home. Your second options would be to vacuum and self-clean the floor on a regular basis. 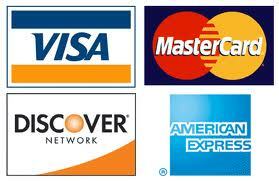 Your final, and best option, is to spend the money to have your carpet professionally cleaned. This may sound like a slanted sales pitch, but having a competent professional carpet cleaner thoroughly clean your home is the only way to truly remove the allergens from your carpet and upholstery. But don't take our word for it...The EPA (Environmental Protection Agency) did a study on indoor air quality. Naturally, a major aspect in their study was the effectiveness of carpet cleaning. In one phase of the study, they vacuumed the carpet nearly every day. They compared this to a professional hot water steam cleaning. The result was the professional cleaning removed up to 1500% more pollutants than the vacuum alone.Vacuums are great for picking up large particles; however, as the study shows, they are not nearly effective at removing microscopic particles that cause health issues. The EPA didn't include rental carpet cleaners. However, they likely would have found similarly poor results, as they did with the vacuuming. This method is often satisfactory for giving your carpet a cosmetic touch up, but they lack the power to kill the stubborn organisms that are binding to the carpet fibers. To compound the issue, many of these cheaper carpet cleaning systems leave your carpet over saturated with water, leaving it vulnerable to mold growth. A true professional steam cleaning has a powerful suction that extracts much of the water. The EPA recommends that carpets be cleaned at least every 12 months for houses with two or less people that are non-smokers. As the number of occupants and exposure to pollutants increases, the professional carpet cleaners should be called out more frequently. The EPA recommends having professional carpet cleaning every 3 months in homes with children and pets. While we admit most of these recommendations are ideal circumstances, the point of these recommendations is to have your carpet cleaned professionally at least once a year. Office buildings, schools, museums, theaters, restaurants, night clubs, churches, hotels, motels, are just a few of the types of clients we serve. Give us a call!